Adapting to a meat-less diet? 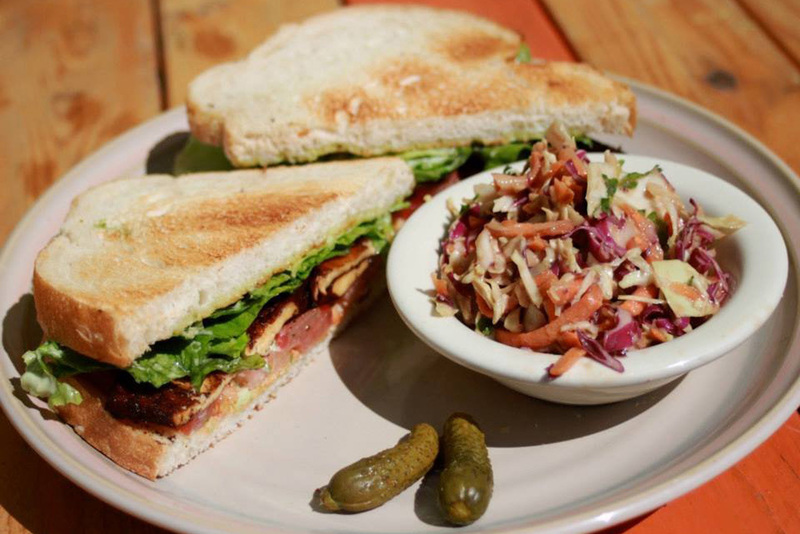 These tasty vegetarian and vegan restaurants in Austin will rock your culinary world. 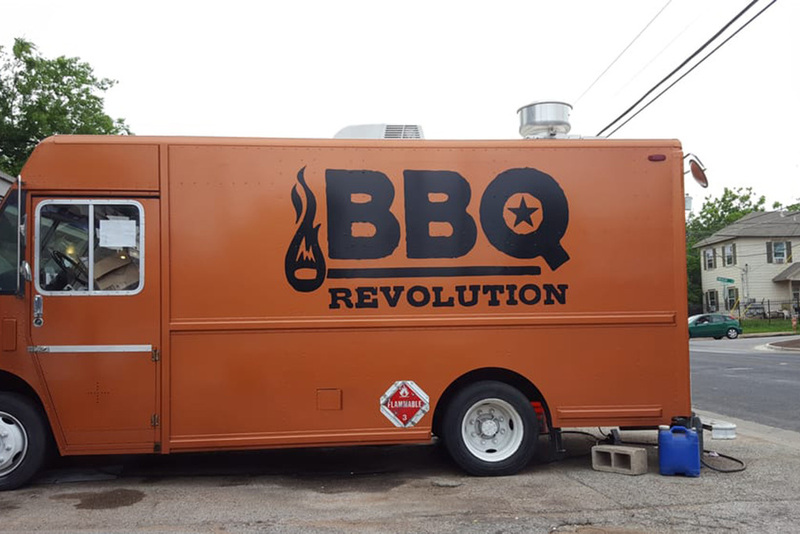 If the best BBQ in Austin is any indication, Texans love their meat. But, whether calling out health-related or moral reasons, going vegetarian or vegan is considered a healthier, more humane life choice for some. 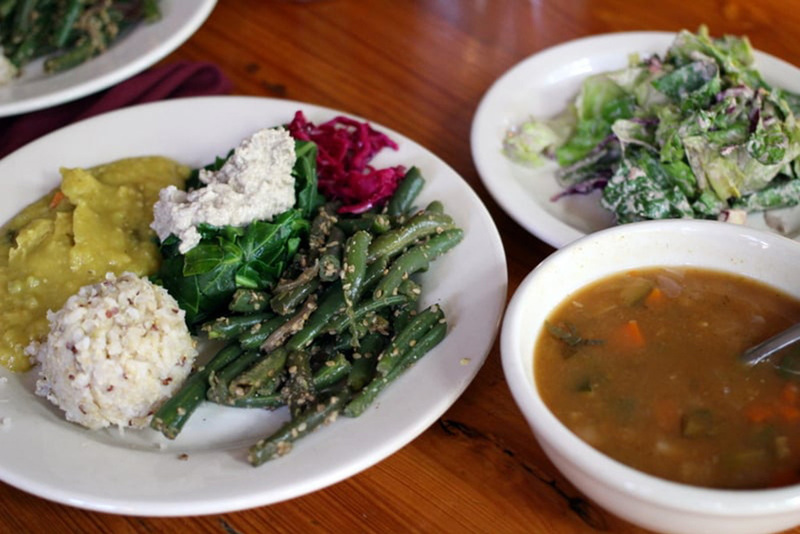 Although you might be able to find plenty of veggie options at the best Italian restaurants in Austin, these strictly vegetarian and vegan restaurants in Austin allow you to order the entire menu without having to browse through every single meal ingredient. Eat at one or all of them and even your staunchest carnivore friends will probably end up considering a departure from their meat-based diets. Fun fact: plenty of the options below are among the best food trucks in Austin. Enjoy! 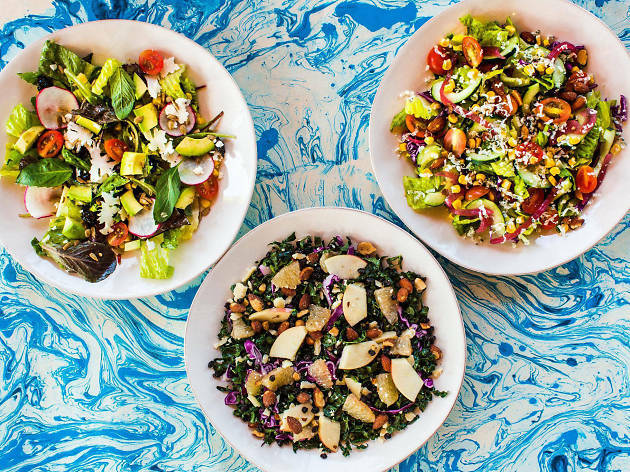 There is no place in town quite like Casa de Luz, an organic, plant-based cafeteria and community center tucked on a side street just west of Zilker Park. 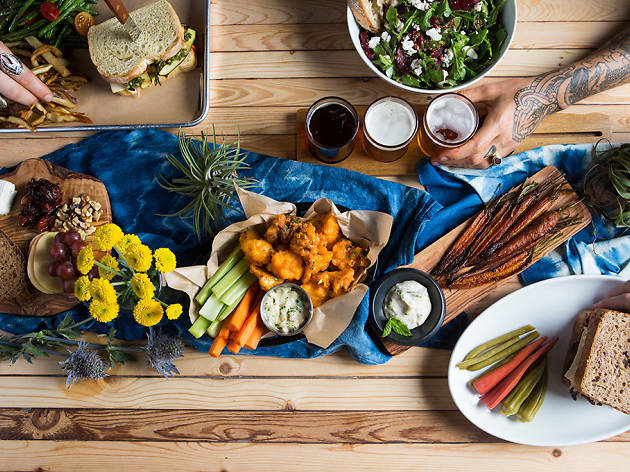 Pay one price for breakfast, lunch or dinner, and then help yourself to the buffet of house-made soup, leafy salad, whole grains, beans, fermented vegetables and more. Desserts made with agave and brown rice syrup are also available for purchase. 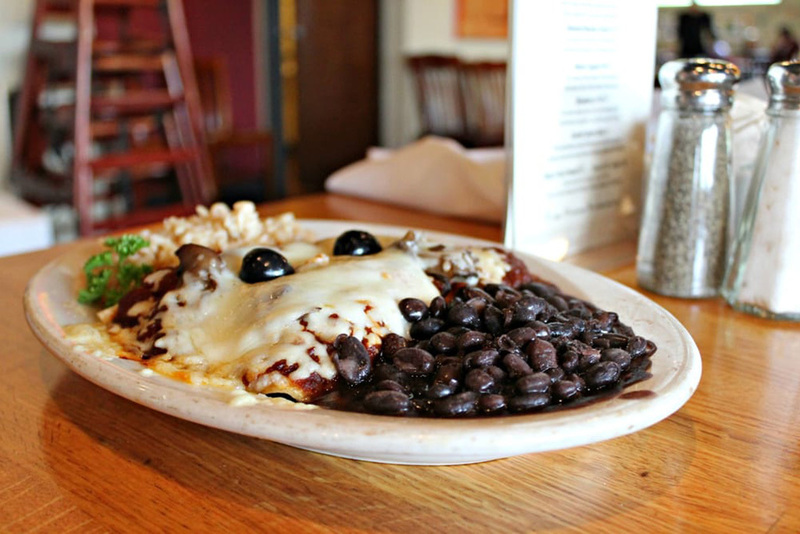 Ever since opening in a tiny shack on South 1st Street, Bouldin Creek Cafe has been bustling with regulars. 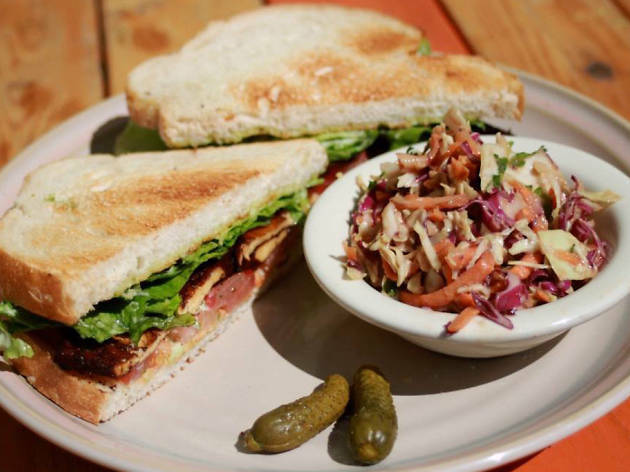 These days, the organic vegetarian cafe is located just down the street in a much bigger building—and is just as busy! 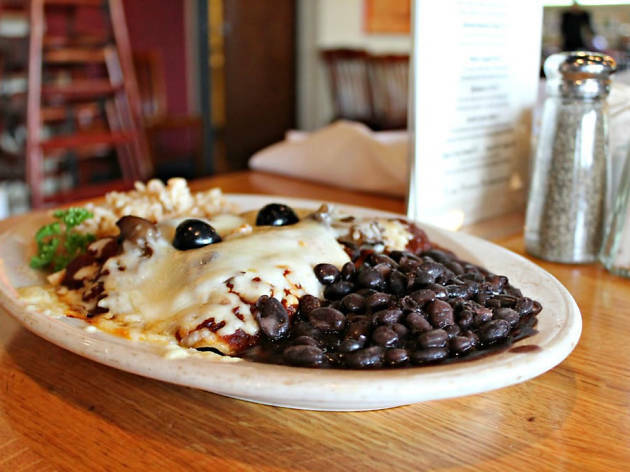 Locals love the all day breakfast plus plenty of lunch and dinner options like sandwiches, salads, bowls, tacos and veggie plates. 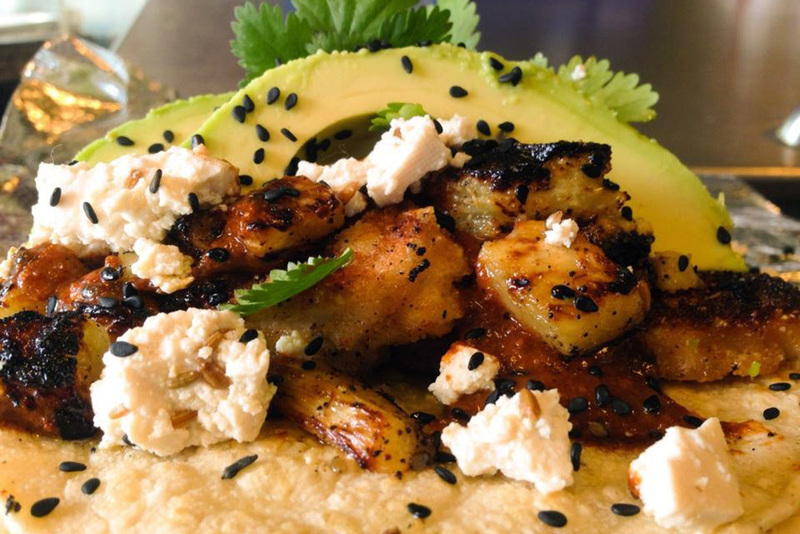 This North Loop food truck produces elegantly and artfully plated vegan creations like peach molasses glazed shiitakes over red peppers and rice cake and sweet potato arepas plus meat- and dairy-free versions of pizza, kolaches and Sunday brunch. 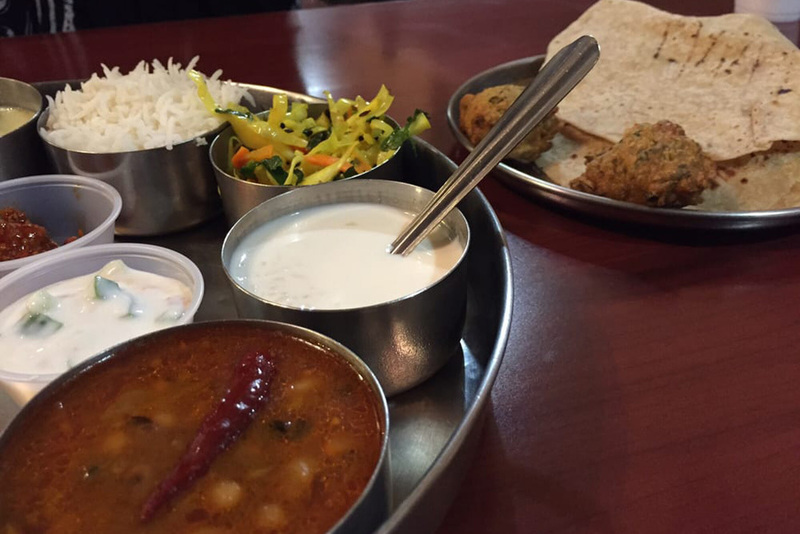 The vegetarian South Indian cuisine at Swad is certainly worth the trek north. 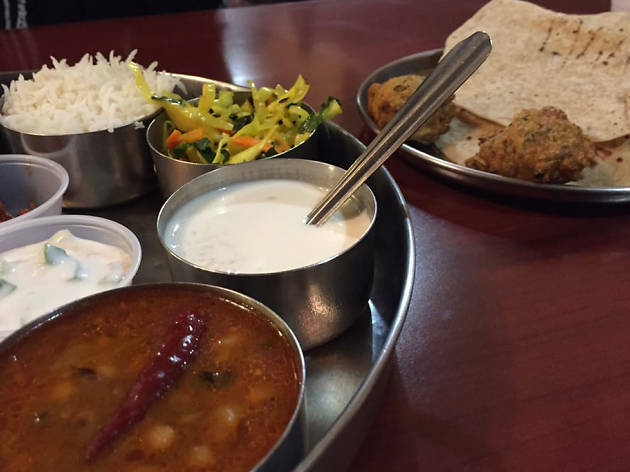 Go with a friend and try the Thali special platter alongside one of the giant lentil dosas filled with potatoes, paneer and vegetables. 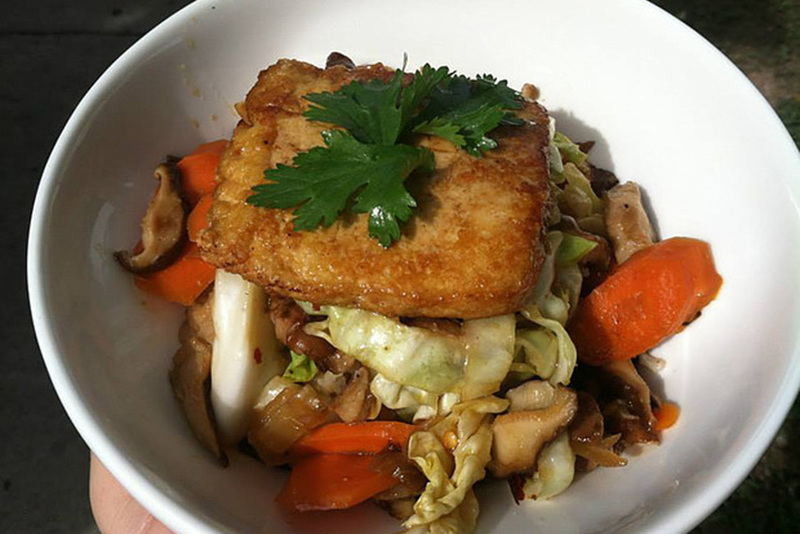 Located in a downtown area lacking many healthy options, Koriente is a beacon of light for vegans and vegetarians. 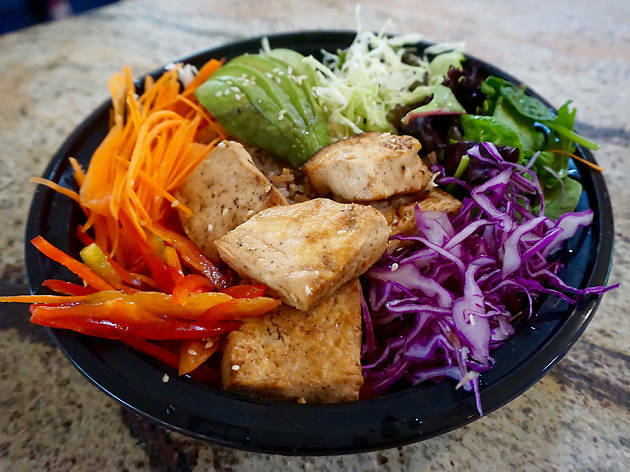 Try the Mixmix bibimbop or a bowl made of veggies, stir-fried protein and either chewy rice medallions or sticky rice. 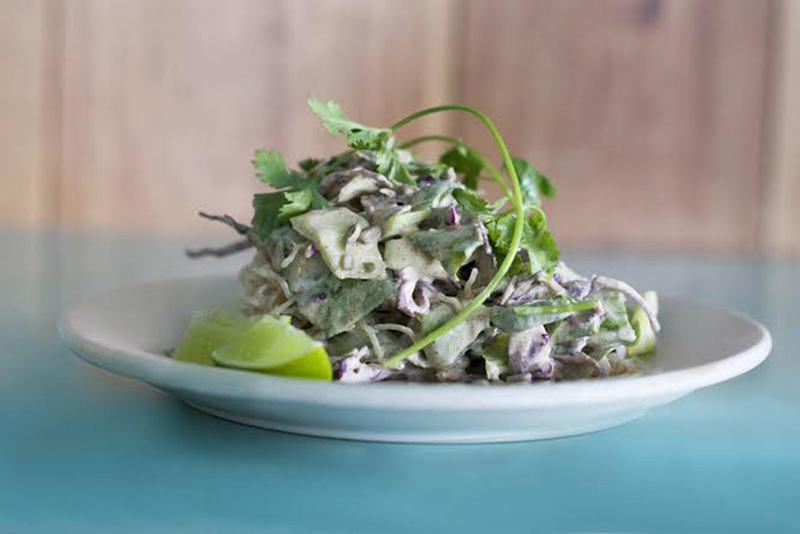 This healthy fast-casual bakery and cafeteria, with two locations, focuses on vegetarian and vegan cuisine and offers plenty of gluten-free options as well. 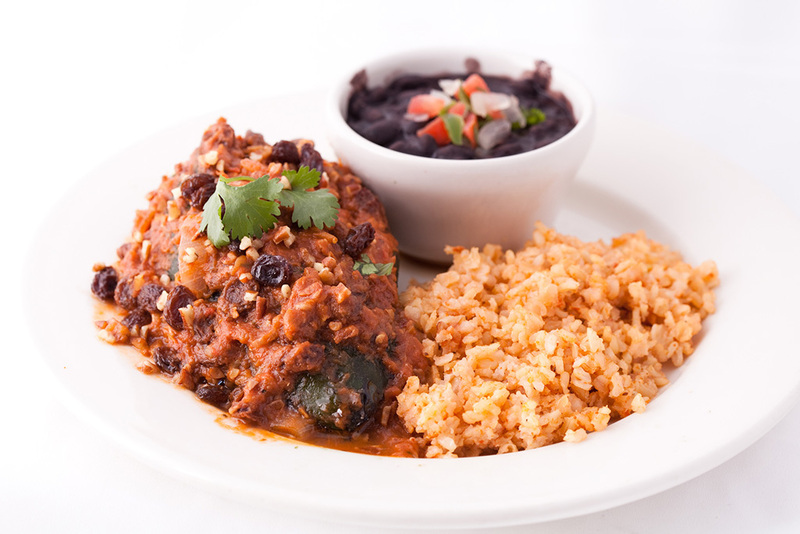 Order a la carte off the all-day menu or opt for the lunch buffet, which is typically filled with Tex-Mex options. The Cesar Chavez location also features a vegan brunch buffet on the first Sunday of each month. 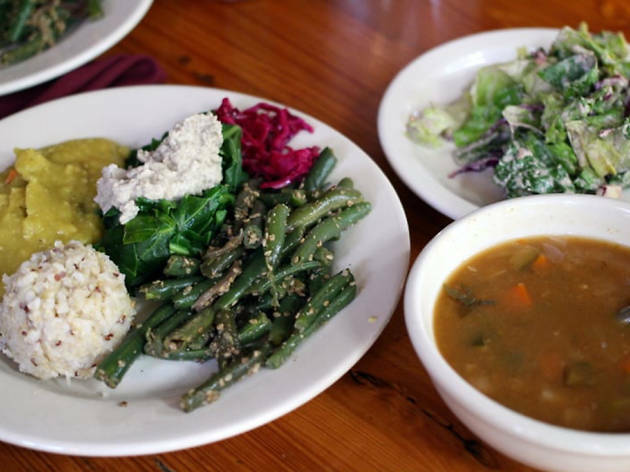 This iconic Hyde Park cafe has been serving plant-based cuisine since 1980. 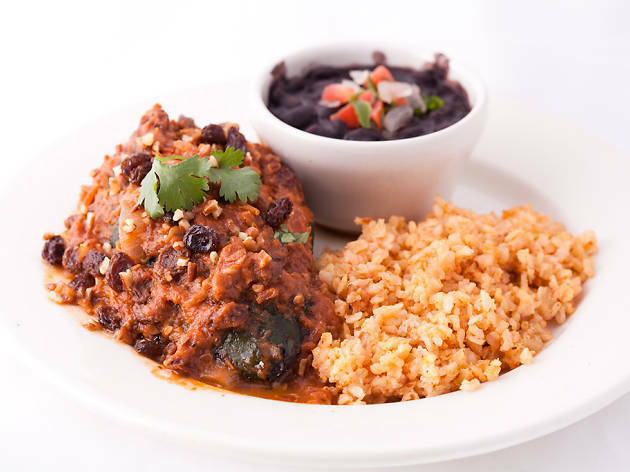 Snag a table in the courtyard and enjoy menu favorites like artichoke enchiladas, mushroom stroganoff, Jamaican stir-fry and savory baked tofu. 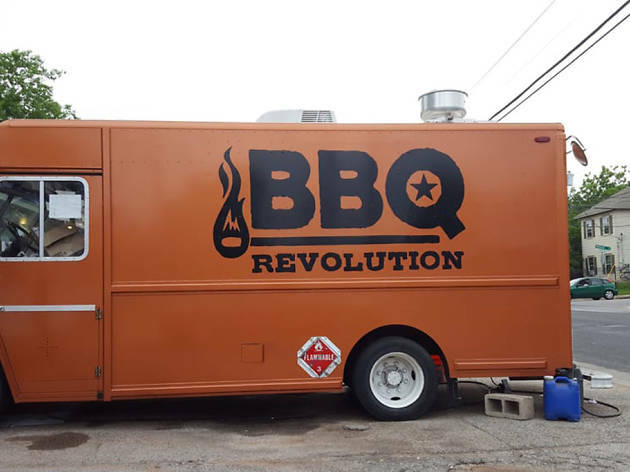 BBQ Revolution is here to prove that Texas barbecue isn’t just for meat eaters. 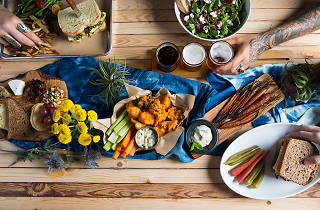 The eastside truck, which is parked outside the Lost Well, offers options like No Bull Brisket (made with local wheat roast), smokey curls and tempeh ribs, plus a variety of savory sides. 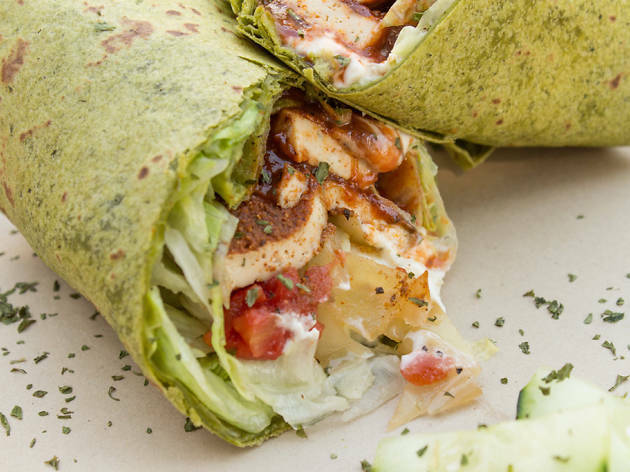 Everything made in this food truck is fresh and 100% plant-based, which means you won’t find anything fried. 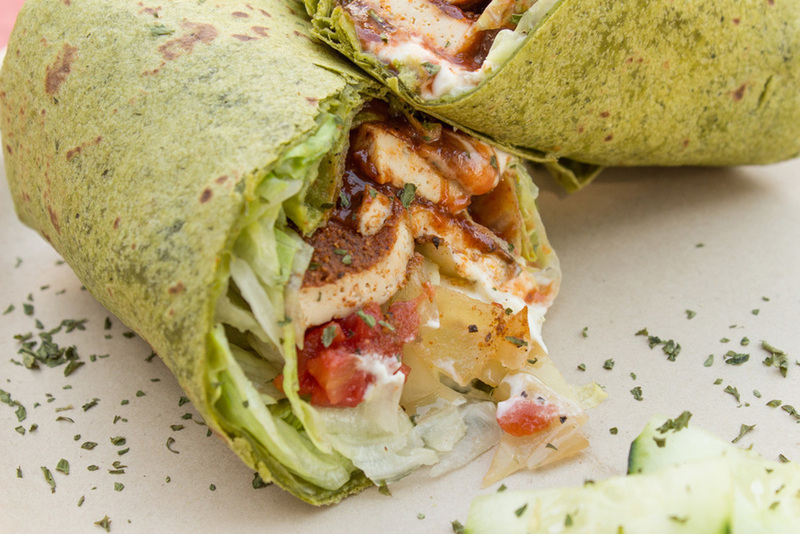 Instead, find salads and wraps with tasty fillings like spicy chickpea, chimichurri seitan and blackened (non-GMO) tofu. Also enjoy a variety of well-priced smoothies made using fresh fruits, vegetables and organic agave water. 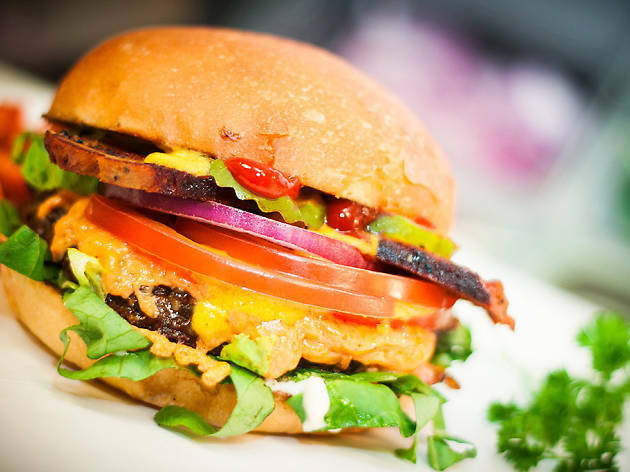 Expect comforting plant-based bar food at this Tarrytown gastropub with a vegan menu. Favorites include Hops ’n' Chips (fried heart of palm in lieu of fish), crispy buffalo cauliflower and BBQ pulled spaghetti squash—all even tastier when accompanied by one of the craft beers on tap. 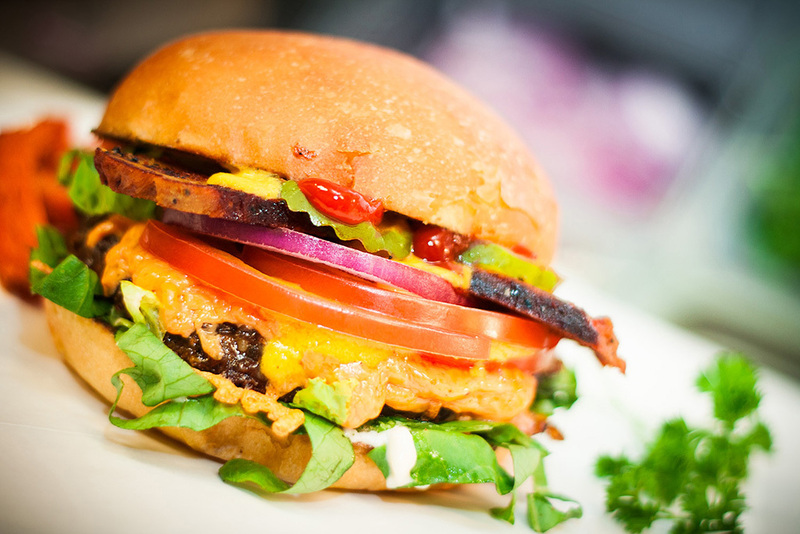 Thanks to Arlo’s, vegans of Austin can end a night on the town with a melty, indulgent burger—made with a soy and gluten-free burger, melted “cheeze," and seitan “bac’n.” The food truck also offers street tacos and “chik’n” sandwiches… Test your meat-eating friends’ abilities to even tell the difference. 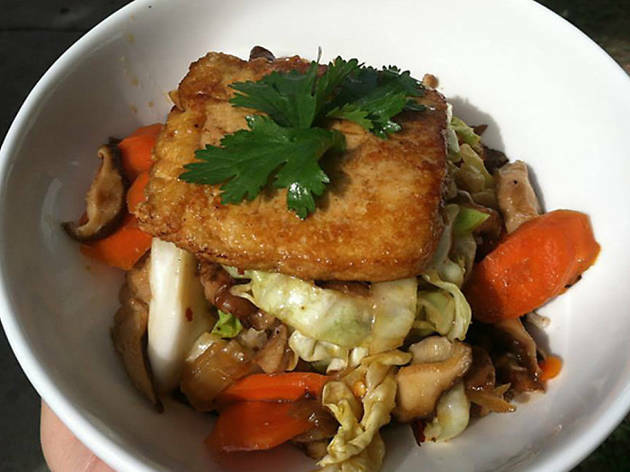 This eastside vegan diner specializes in soul food with bold flavors, like shredded jackfruit BBQ, spicy pad Thai made with kelp noodles and Philly seitan made with cashew cheeze. 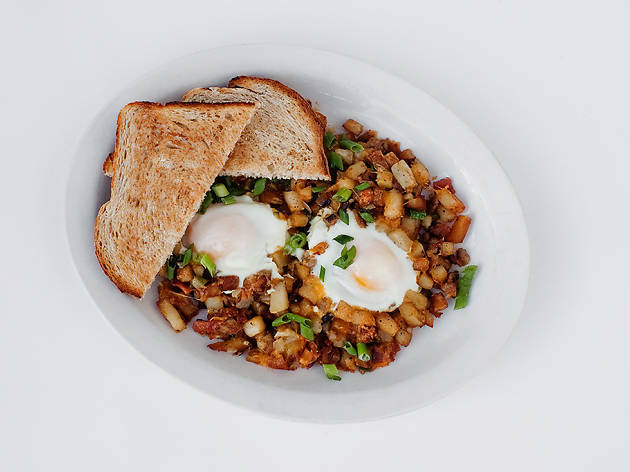 Be sure to check out the popular weekend brunch, which offers tofu scrambles, pancake plates, tempeh bacon, raw oatmeal banana splits and the occasional live music act as well. 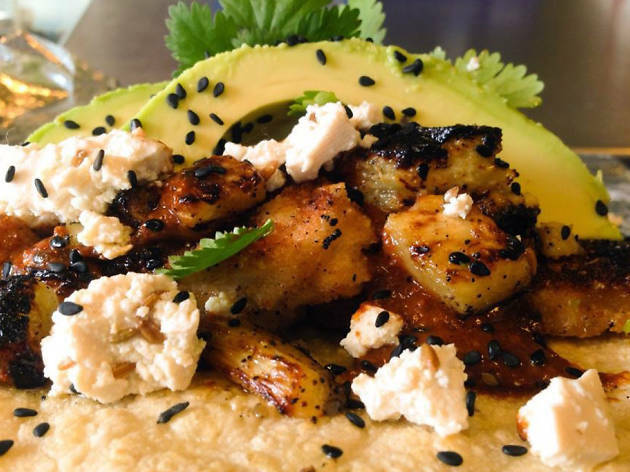 Vegan tacos are the name of the game at this popular North Loop food truck which recently debuted a second trailer on the east side. Choose from all day breakfast tacos (made with soyrizo, tofu scramble and tempeh bacon) and signature tacos like the Vegan Del Rey (made with gluten-free breaded mock fish and slaw) and the Vegan Jalisco (filled with gluten-free chicken “faux-jitas” and veggies). 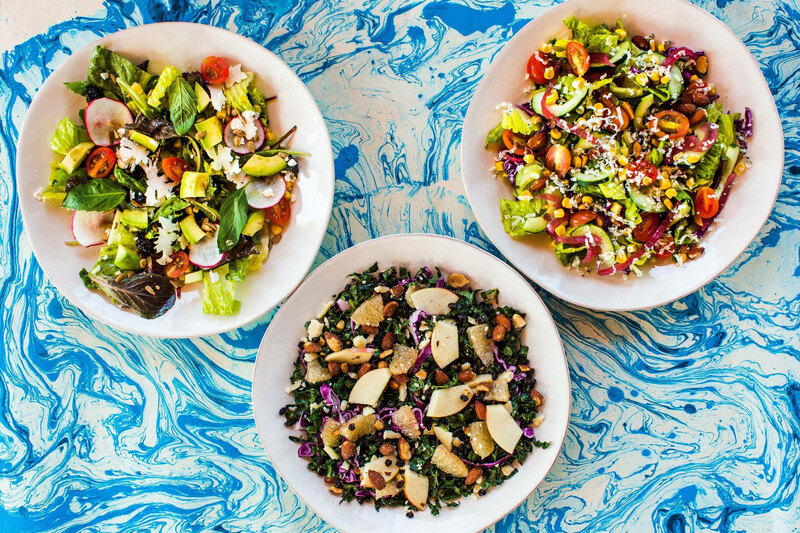 With a location at the Domain NORHTSIDE and a new spot downtown, Flower Child is spreading its love of clean eating across Austin. 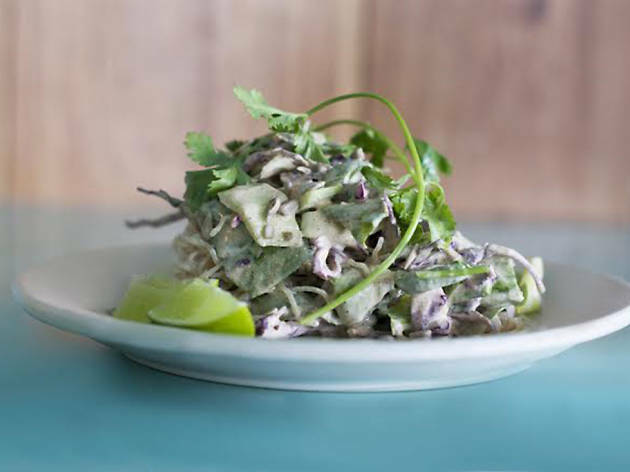 Salads, bowls and healthy wraps dominate the menu, and while you can certainly add protein to your options—chicken, steak, sustainable salmon—the majority of dishes start off as vegan or vegetarian. 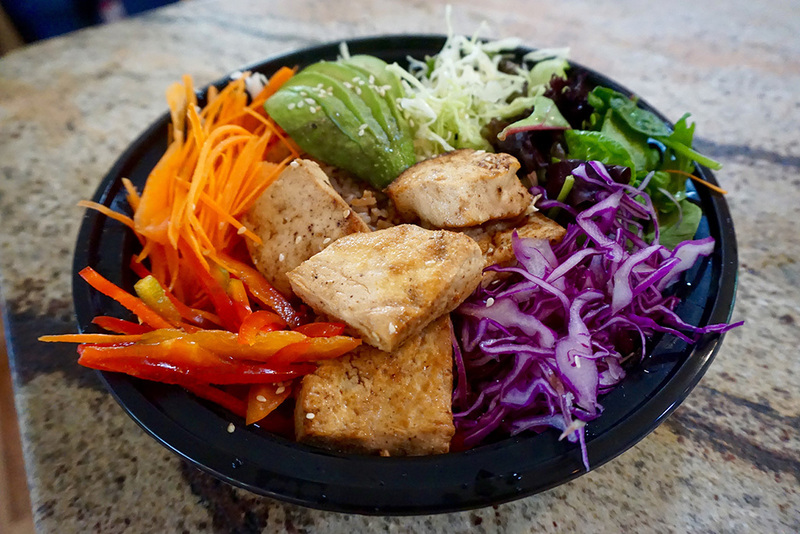 Our favorites include the Forbidden Rice bowl made with black pearl, red japonica, snap pea, bok choy, broccoli and carrots, as well as the Thai Cashew Quinoa (zucchini, snap pea, celery, onion, shiitake mushroom, jalapeño, thai basil). On the hunt for breakfast? Some of these spots offer vegan and vegetarian dishes to start the day.